With prices for these two cars continually rising higher and higher we decided to check out these two Spoon racers that are up for auction. Check out the two JDM legends right here. 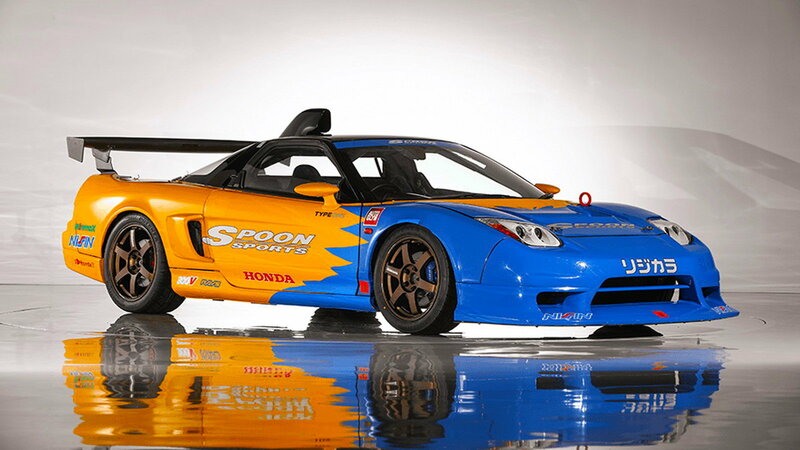 Spoon has become a household name due to their involvement with the S2000 platform and other work that TYPE ONE has done with Honda. The tuning company does a lot of restoration, maintenance, and tuning work on customer cars with a great showing of what they're capable of at their showroom in Japan. 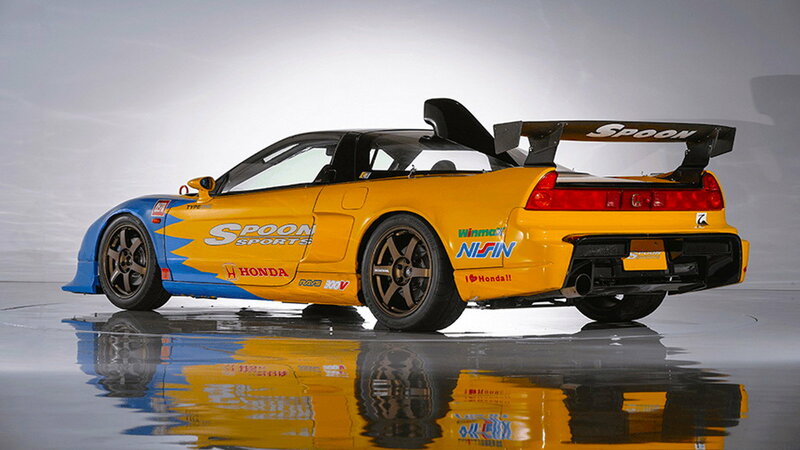 >>Join the conversation about the Spoon S2000 and NSX-R GT right here in S2Ki.com. Here we have an S2000 and an NSX-R GT that share dual-tone canary yellow and royal blue liveries each. 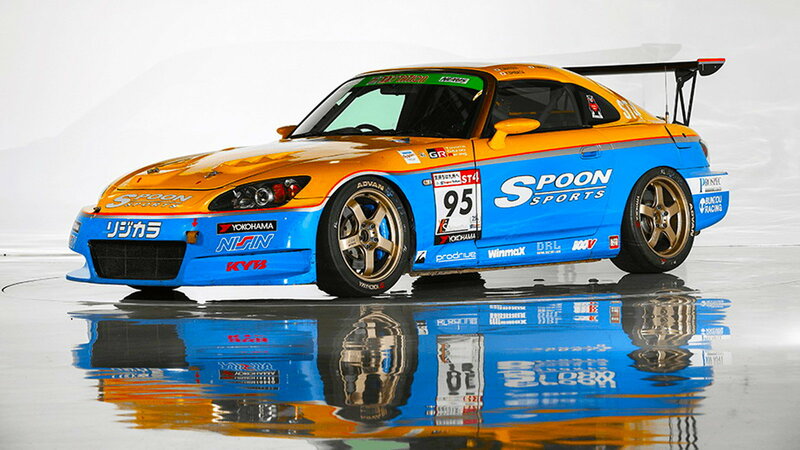 The S2000 was completed for the Super Endurance Race class ST-4. It competed in the series for three seasons until 2016. More interestingly is that this car was built based off of the last white body S2000 that was ever produced. The engine is the same as stock so as to comply with JAF N1 regulation but the suspension was altered. So in an effort to achieve better dynamic balance, each piston and con-rod was picked out with the minimum weight differences in mind. The engine did receive a new MoTeC ECU to give it a wider range of settings and a more detailed calibration. The range of changes made to the S2000 may seem minimal to you when you think about what other owners have done to their cars but quantity wasn't Spoon's aim. The F20C was tuned by Spoon for maximum efficiency and is matched up with the aerodynamic body panels dialed in for performance. The body has Spoon's original aero bumpers and a "GT wing" so that the characteristics of the car avoid any of the nervous chatter or sketch nature of other tuned cars. The NSX-R GT raced in the Macau Road Sports Challenge running a tuned C32B NA engine which later got replaced by a tuned and turbocharged C30A that produces 550 PS. The Type R GT of the NSX launched back in 2005 and was based on the lighter Type R variant. The limited production model was kept to just 5 units and had exclusive CFRP bumpers and aero pieces such as the air intake on the roof. All the mechanical bits, including the engine, are the same as what was in the Type R.
The Spoon NSX-R GT had trouble in the 2008 race for the Macau Road Sports Challenge during the qualifying round but bounced back after overnight repairs. The car won third place in its class and proved its worth to the team right then and there. In 2009 an accident hindered the Spoon team from appearing in the final race and ended their hope for a finish line crossing. To see how things go at the Tokyo Auto Salon Auction, just click here.